Aqualine Saunas is renowned as a leading supplier of Home Saunas, Infrared Saunas, Traditional Finnish Saunas and Steam Rooms. 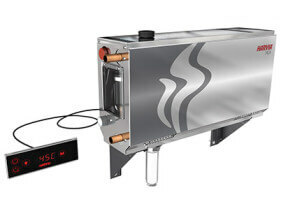 We also supply modular steam rooms and steam generators. 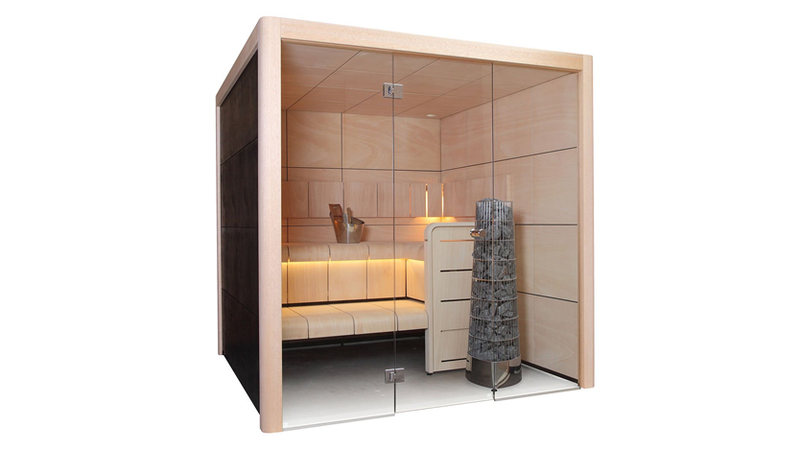 As the market leader, we hold over 50 different sauna and steam room models, in 250 different sizes, and in 10 different materials, from 6 different world leading sauna manufacturers. 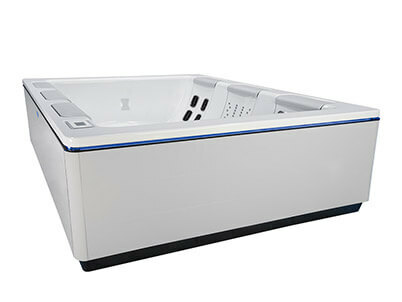 If we don’t have what you’re looking for in stock, then it might be wise to consider one of our custom models, which can be made to your own specification. Our Home Saunas are extremely versatile and durable, and are perfectly suited to a bathroom environment, spare room, log cabin or garage. 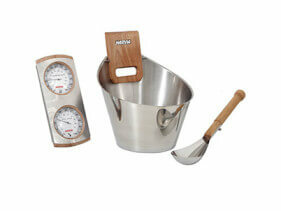 With a range of styles and sizes, you will be able to choose a model that is perfect for your home. Our home units are designed to afford our customers all the luxury and health benefits of a sauna, but within the comfort and convenience of the home environment. 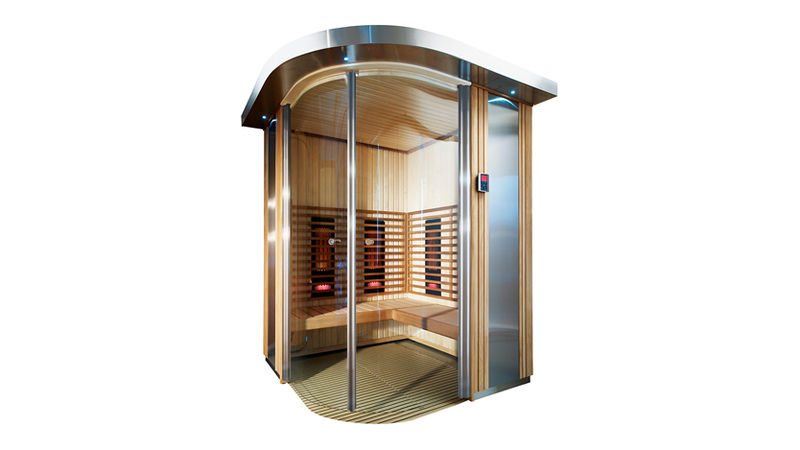 Our Commercial Saunas are designed for use within health spas, gymnasiums, beauty salons, hotels; you name it, we can meet your needs. Our commercial use products are stylish; designed to enhance their environments, creating a sense of sophistication, opulence and luxury. All of our commercial models are built to the very highest quality standards, and are extremely durable to cope with the demands of commercial use. Far Infrared Saunas are a modern adaptation of the time-tested practice of using heat to improve health, purification and vitality. 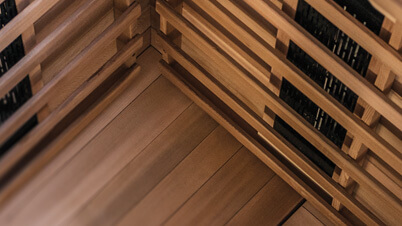 This method of generating heat is the most cost effective of all saunas, while the unit itself is easy to maintain; making infrared an excellent choice for both residential and commercial applications. The infrared rays penetrate deep into muscle tissues, alleviating stresses and strains, while removing toxins from the body. This can benefit anything from arthritis, blood circulation, depression and weight loss. 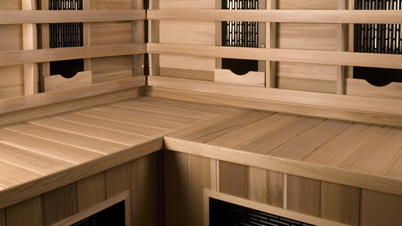 Traditional Saunas, also known as Finnish Saunas, Conventional Saunas, or Steam Saunas can be traced as far back in history to the ancient Greeks, however, they were also used by the Romans, and of course the Scandinavians, who are probably now the most renowned users of the this system in modern civilisation. This method of generating heat to benefit body and mind creates the most intense temperatures in its radiant heat, and has been known to kill bacteria and increase anti-oxidants; protecting the body's cells. Cases of depression have also been improved or cured with the application of heat in this way. 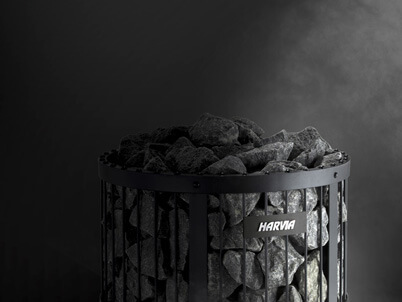 If you would like to experience a genuine Finnish Sauna in its traditional environment, you should consider an Outdoor Sauna. 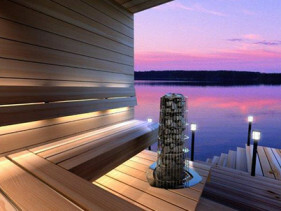 With all the benefits of the indoor models, Outdoor Saunas afford genuine Finnish sauna enjoyment; the feeling of the fresh, open air on your skin. A combination you have to experience! 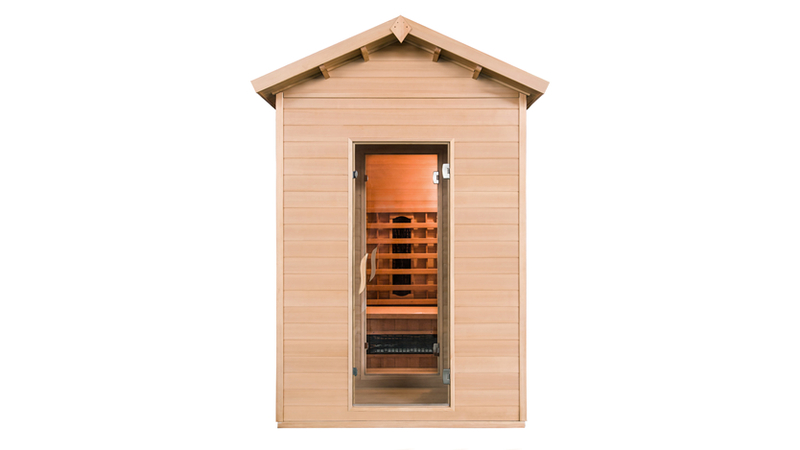 We supply both Electric Sauna Heaters and Wood-Burning Sauna Stoves which are ideal for bespoke and DIY sauna cabins or simply need to upgrade your old sauna heater to the latest model. 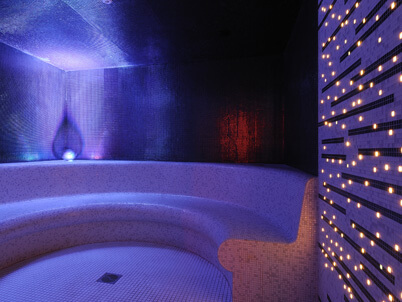 Steam Rooms, Steam Baths and Steam Showers can be highly beneficial to the respiratory system, stress relief, and muscular aches and pains. In addition to this, all of our units are designed to create their own unique feeling of luxury and relaxation. With our comprehensive range of units and specifications, this can be achieved much more easily and effectively than ever before. We supply Steam Rooms for both domestic and commercial use, at competitive prices, and provide only the best standard of quality and durability.